One stop finance transformation for your business. A DYNAMIC AND CUSTOMER-FOCUSED APPROACH TO NETSUITE CONSULTING, IMPLEMENTATION AND SUPPORT. We offer unbeatable efficiency in building teams of the world’s best Oracle NetSuite certified professionals who achieve repeatable customer success through our project delivery methods. Our ‘partnering’ approach and tailored consulting services provide a time-to-value offering unparalleled in the industry. Sansa is part of the SystemsAccountants Group (SA) and has originated from the Finance Systems market intelligence captured and nurtured over the last 20 years. 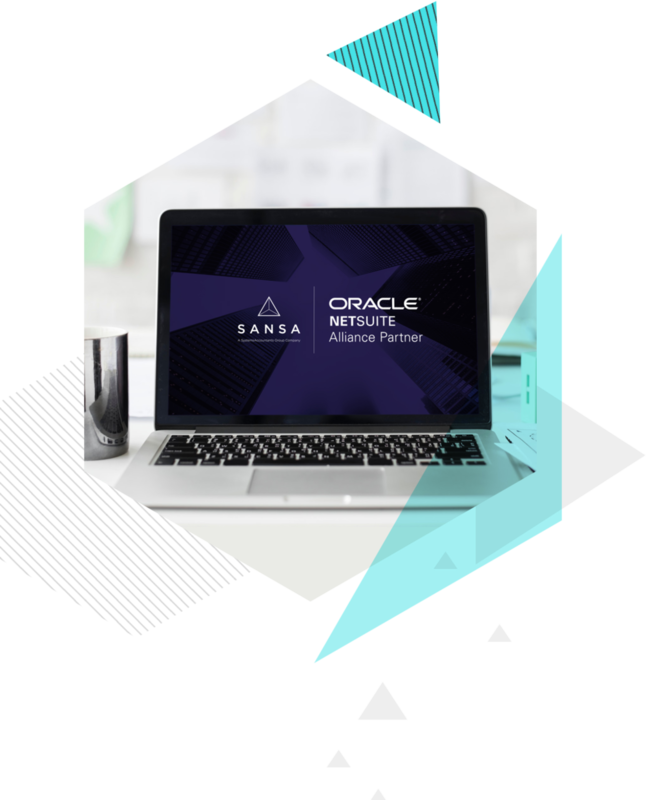 Sansa are one of the few Oracle-NetSuiteAlliance Partners with operations and partnerships in the UK, EMEA and the USA. As a SystemsAccountants company, we are proud to announce that the SA Group received a prestigious NetSuite award at SuiteWorld 2018. Sansa are accredited to carry out NetSuite implementations and our bespoke teams of professionals provide clear guidance to our customers on how to harness the full potential of NetSuite for their organisation. For existing NetSuite customers, we provide a comprehensive support programme tailored specifically to the customer’s needs. Our Project Managers proactively guide you through the implementation process. Working to recognised standards and certifications in governance and stakeholder management, testing and deployment. We ensure that your teams are primed for change and a programme is in place to support them through the change. Our platform offers flexible and scalable support solutions to suit your organisation, ensuring that you get the support you need, when you need it and that you only pay for what you use.